LessThanDot - Virtual book club.. who is in? At work we decided to start a book club, we pick a book, every week we decide how much we will read. After the week is over, we meet and then discuss what we read. We discuss what we liked, what we didn’t like and also what we learned. Why should I have all the fun with this? 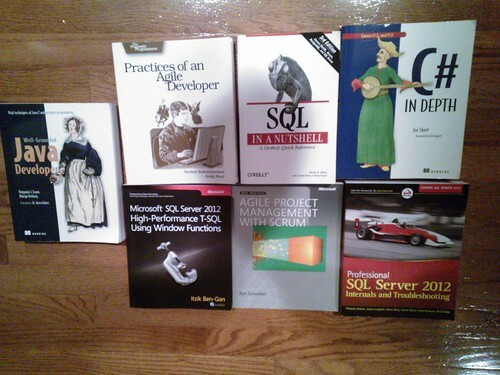 I figured why not make it a virtual book club, we pick a SQL Server book and then we figure out how much we will read in a week, after the week is over we can discuss. One chapter a week should be doable for everyone. I will post my ‘review’ on Sunday and then you guys have the whole of next week to do yours in the comments. After this book is done we can pick the next one, we can use a poll for that. So who is in, leave a comment if you want to participate?